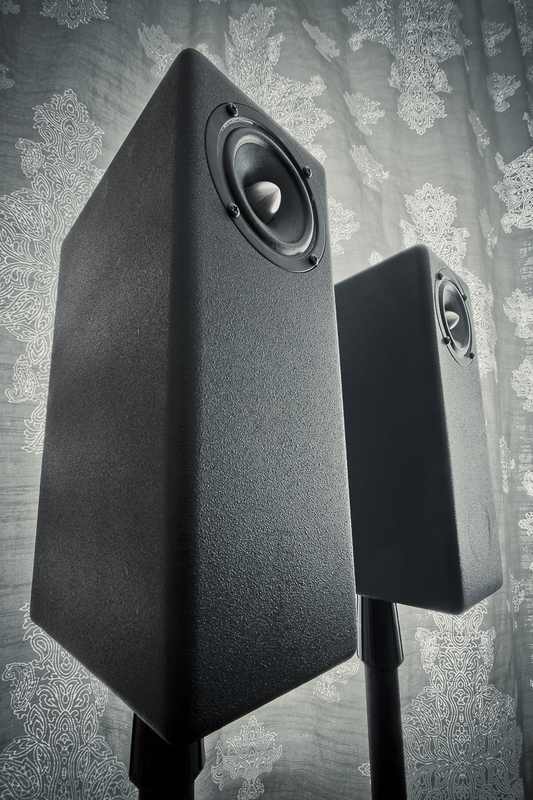 Like the story of David and Goliath, the LGK’s are speakers that prove when it comes to Hi-Fidelity that size can be deceiving. 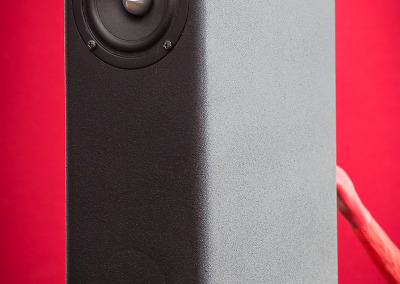 For anyone in the DIY crowd that is looking for a small desktop speaker that could easily double duty in a medium room or larger room using filters, look no further. 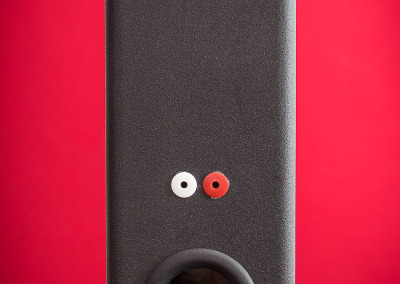 These speakers will knock your socks off. 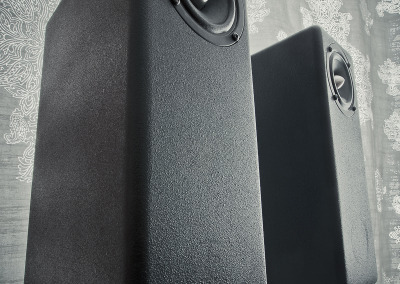 Near perfect midrange, pinpoint accuracy and imaging that sets the gold standard by which most speakers should be measures, this “little giant killers” are simply stunning especially at the asking price of $189/kit. The LGK 1.0 is a wide band driver designed to handle a full range input signal. 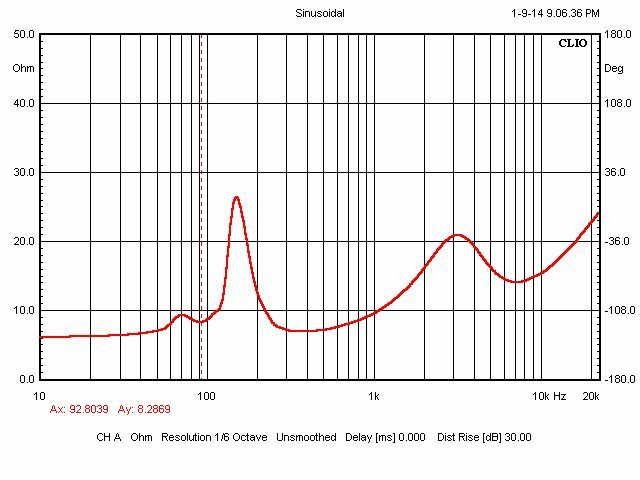 The frequency response is very smooth and the spectral decay is exceptionally clean. 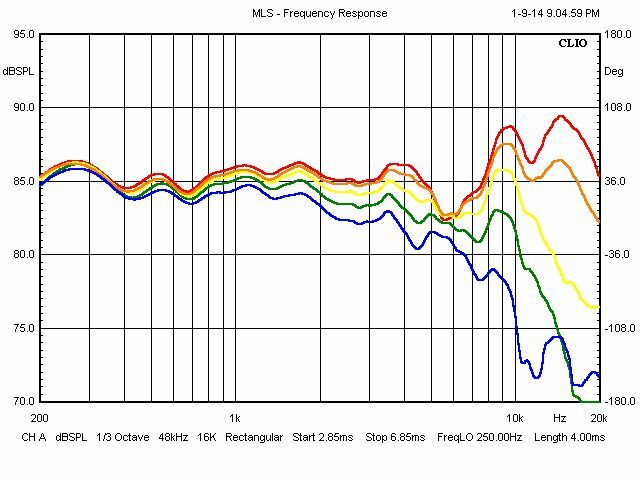 The vocal range is very clean and natural rivaling any driver. 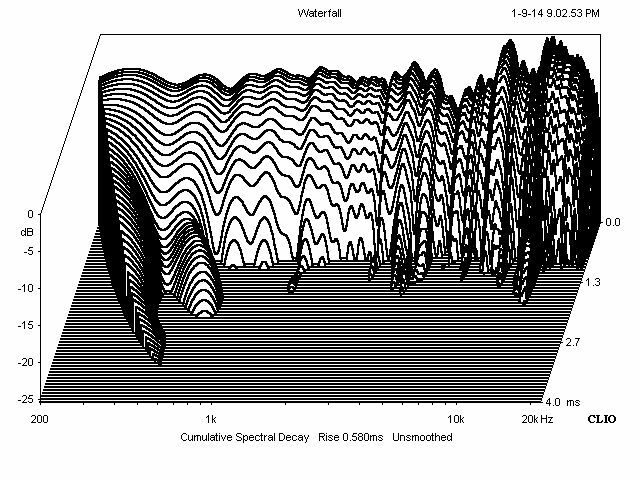 The highs are also very smooth with no harshness ringing or break up. These little drivers can be used in a number of applications from small theater speakers, small two channel systems, and desktop monitors. 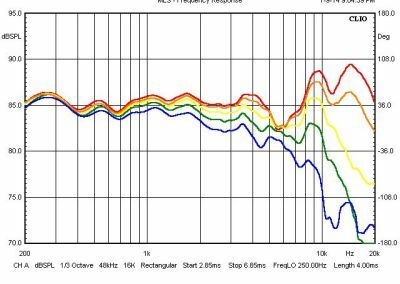 The are ideal for nearfield listening or small rooms where high SPL levels are not needed. 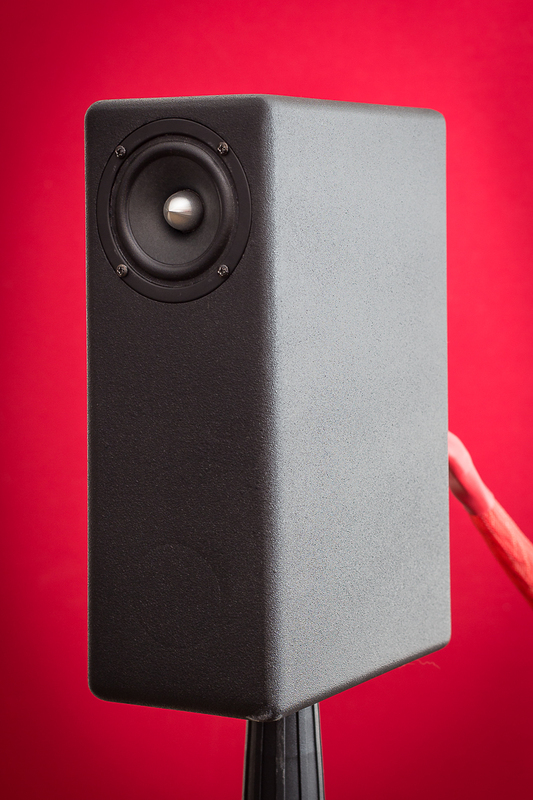 The high Q design also allows it to be used in open baffle applications as a mid-bass driver. 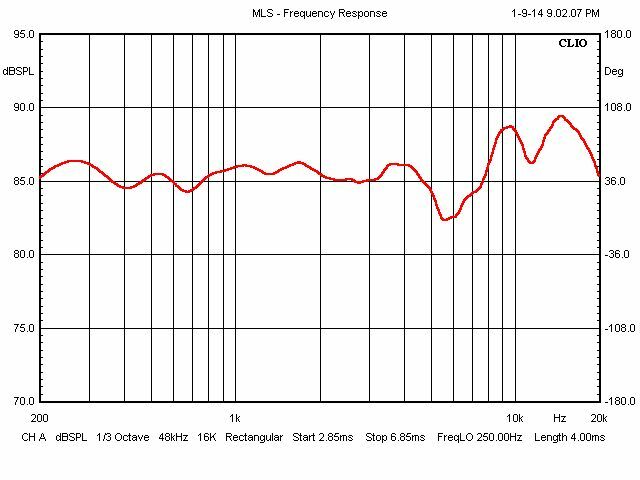 The LGK 1.0 is also capable of hitting a -3db down point of 68Hz in a ported box design. Stamped steel frame with gasket. 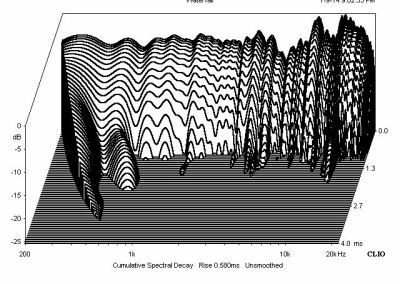 Power handling for a full range signal is conservatively rated at 15 to 25 watts. If some of the lows are electronically or passively removed then they easily handle 30 to 50 watt power levels. 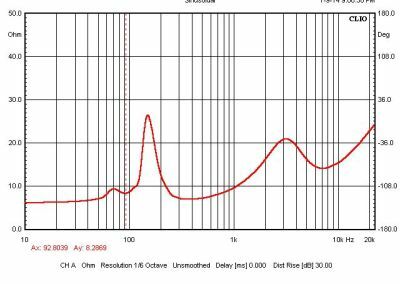 If the low frequency ranges or more aggressively filtered then they will easily handle 100 watt peaks or greater if the signal is clean. 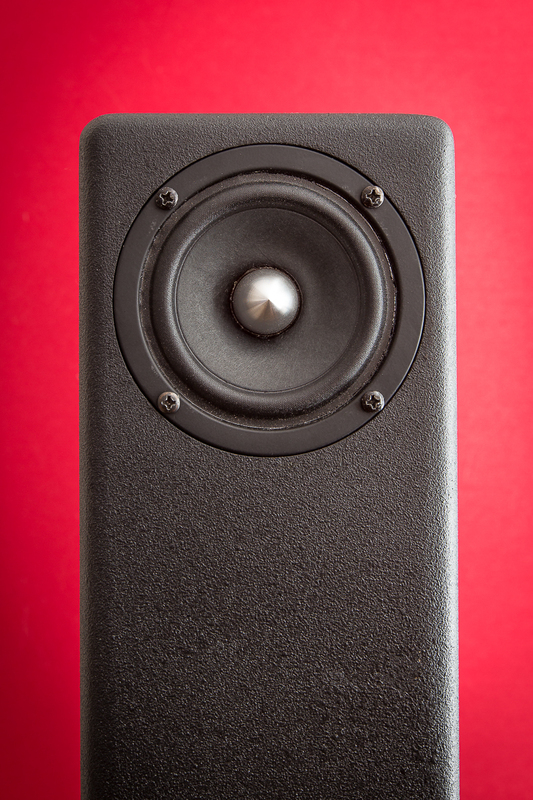 GR Research began in 1995 with a passion for high quality audio. With a driven desire for excellence they expect nothing less than to turn the next page in mainstream loudspeaker design. Jumping over to GRResearch.com you can find diy kits for loudspeakers, drivers, components, electronics, accessories and services offered through g and r. I have followed GR research for a number of years through their own forum at audiocircle.com and have always wondered what these kits would sound like… however, we have a problem. When it comes to “making stuff” out of wood, glue, and soldering electronics together, I would most likely end up with a speaker box that looks more like something you would find in the bargain bin at dollar store than an decently built speaker enclosure. 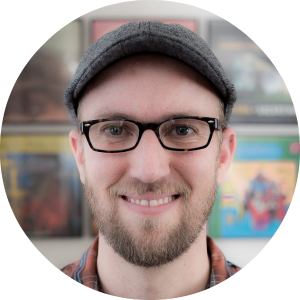 So, I decided to knock on the door of GR Research and develop a friendship with none other than Danny Richie and folks, let me be the first to say, you won’t find a better dude in this business to work with. So, to get this ball rolling, Danny sent me a prototype of the LGKs that were already put together and while they look pretty good, I won’t be discussing fit and finish in this review as your results will vary from what you are looking at right now. The LGK’s are built around 3’’ wide band drivers known as “little giant killers”. Thats right folks, these things are tiny and when first saw them I thought… ok… this is just plain silly, there is no freaking way these things are gonna do much other other than sqwak and squeal and probably sound like pots and pans crashing down a flight of stairs. Well folks, spoiler alert: I have never been so happy to be so wrong. These little giant killers are named appropriately as long as we have the right expectations and and know their limitations. Designed for desktops, small theater systems, small rooms and near field listening, the kit includes a simple compensation circuit that includes everything you need using sonic caps, mills resistors, and erse xq inductors which are used to compensate for the baffle step loss of the small cabinet. All things combined, this gives the LGK a flat response that makes many overpriced speakers blush in shame and head back home to mommy. Let me be the first to say, listening these tiny speakers and hearing full range music literally pour out of these makes you wonder… what the heck does Danny Richie know that so many other manufactures can’t seem to get right? Priced at $189 for the complete kit, you will have everything you need to get the ball rolling including ports, screws, solder, heat shrink, and a half sheet of no rez dampening material. All you need is some wood and a desire to make these things as the cabinet plans are free on the site. Interested in performance such as on and off axis frequency response, spectral decay and impedance response? No problem, Jump over to the review page or Gr research and you will find what you are looking for. Oh… wait, for all you dudes that are scared to make the cabinets on your own, there are plenty of gifted wood workers that Danny can hook you up with, just email him and he will point you in the right direction. Links will be down below in the comments section. So Sarah and I have had these little giant killers for a couple of months now and decided the night we plugged them in and heard bob Dylan’s blood on the tracks that this was gonna be a pretty easy review. What we heard is what I still hear to this day, great sounding music. Initially I had these guys placed in the big room, pulled out 3 feet from the back walls and positioned around 6 feet from each other. Soundstage was realistic and all the boxes were checked in the imaging department. 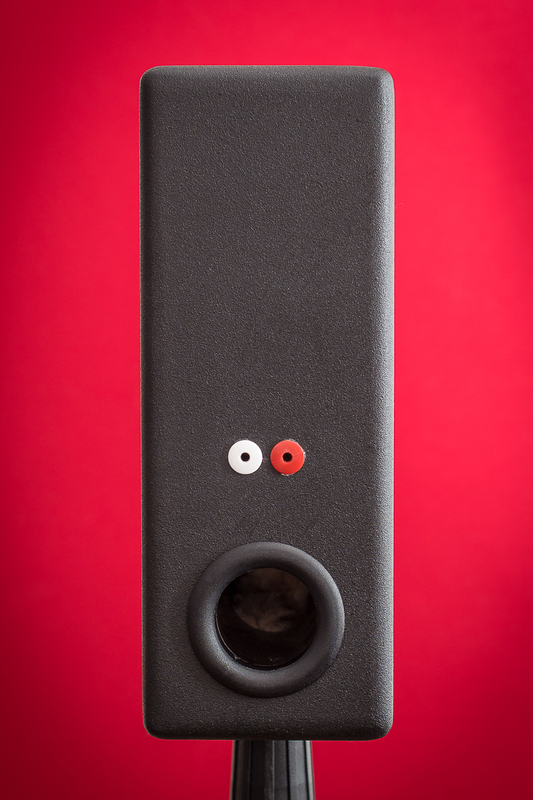 These speakers can pretty much disappear when you give them room to breath. In near field situations, you do lose a little bit of the disappearing act but you also gain more detail and loading these in smaller rooms will give more bass and impact. Even when placed back against the wall, they still provide great imaging and don’t fall flat on their face. Apartment audiophiles and music lovers, I hope your paying attention. Bass is defined and accuarate without a trace of boominess or one note nonesense. While I should point out that your walls won’t be rattling with earth shaking bass, you will still be able to hear some ridiculously low notes at moderate volumes. Being more specific, without a filter to cut the low end and adding a sub into the mix, I think the lgk’s are fine up to around 80-85 decibels before they lose some of their composure. Like I said before, setting the proper expectations is pretty important and I don’t want to oversell these speakers and pretend their something they aren’t. In regards to a filter, email Danny for more information… He can set you up with something and I’ll be doing a follow up down the road to see what these sound like in that scenario. Midrange fans, feel free to hit the checkout button. 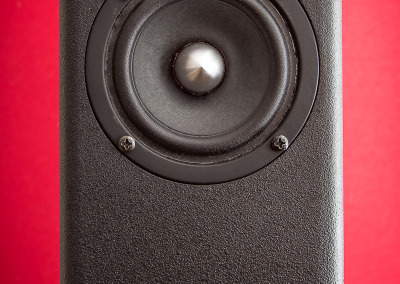 Seriously, I don’t need to know what you are looking for in a speaker to blindly recommend the lgk’s… When it comes to midrange, these boys know what the heck they are doing. Warmth and resolution are married in perfect union and you can expect a speaker that demonstrates just how good vocals should sound like. Detail fans such as myself will be just as satisfied as you folks that gravitate towards the warmer side of the swimming pool. Textures are lifelike without a hint of graininess and there is just enough meat on the bones that nothing comes across as thin of lifeless. The lgk’s midrange is dang near perfect. Top end treble is fantastic and slightly less detailed than what I’m used to with my Anthony gallo 3.1s but more detailed than the previously reviewed emerald physics cs2ps making them good enough to recommend without much hesitation. In the near field audio samples I’ll have in the links below please note that the top end sounds a little more exaggerated than what they actually sound like. 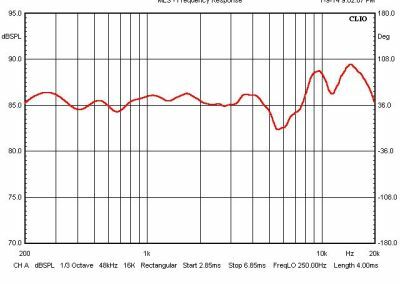 I think those rode m5 mics or something else in my recording process is giving them a little bump up top. Overall the treble on the lgk’s is about smack dab in the middle of the road of detail and warmth and folks, that’s not bad thing at all.